Motorbike trackers. We’ve all thought about getting them – but there are a lot of different choices out there. I’d like to give you an introduction to the one I use and tell you a bit about how to set it up. Some trackers offer an ongoing service and provide a team of agents to monitor the whereabouts of your bike and proactively contact the police if it’s reported stolen. These solutions, whilst great – are often expensive and come with a monthly subscription. What if you want some peace of mind without the exorbitant prices? My current bike is a ten year old Suzuki 125. It’s not worth that much, but it would still break my heart if it was stolen. I also share my bike with my partner and it’s often useful to find out where he is (OK I like stalking him) or vice versa, especially in an emergency. 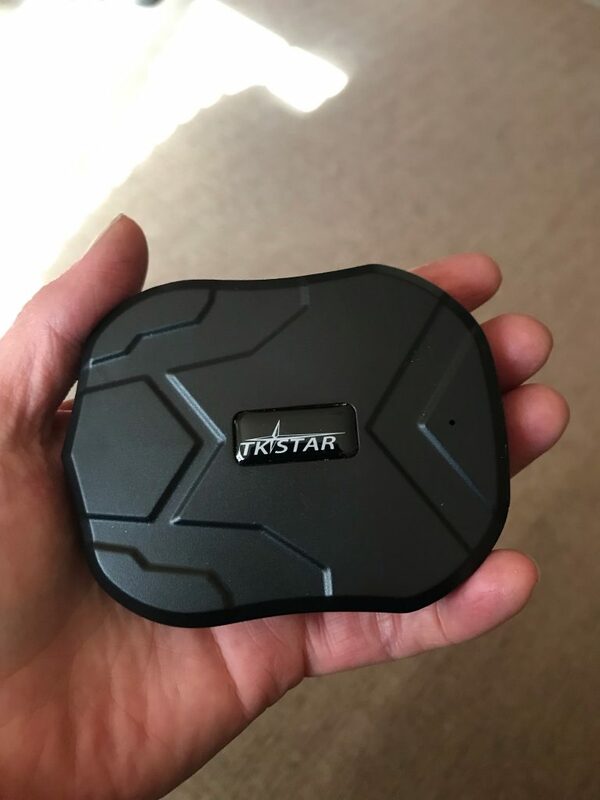 After a bit of looking around I found the TKSTAR GPS Tracker on Amazon UK. 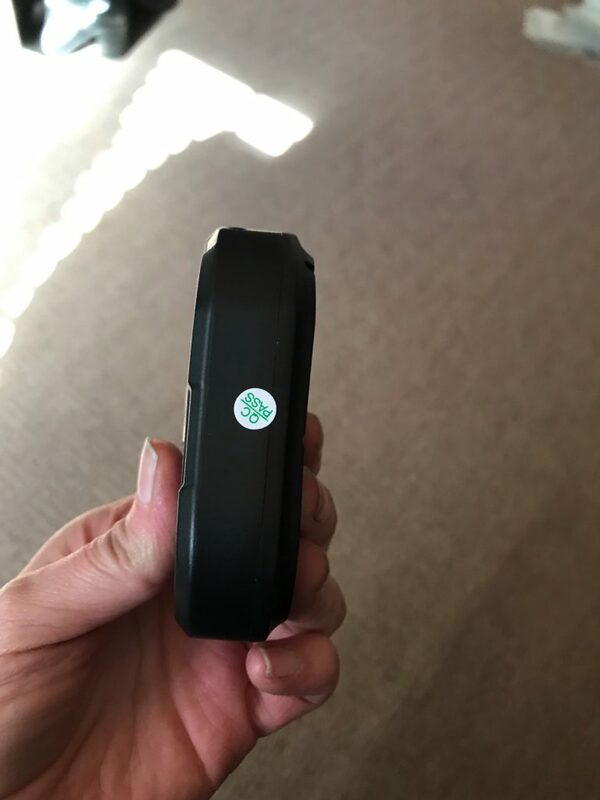 This is one of the many Chinese mass produced cheap trackers available on the market, for under 50 quid I thought I would give it a punt, and I was pleasantly surprised. It arrived in fairly generic packaging and included a usb cable for charging and a fairly pointless pouch. The first one of these I’ve purchased (I’ve since bought another for reasons that I will explain later) came with an A4 sheet of rather useful instructions on setting it up. 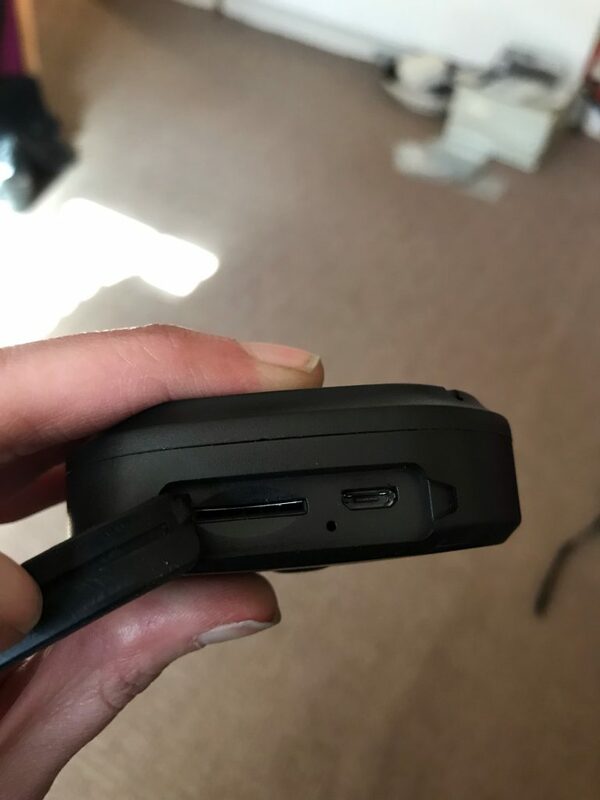 The second one, came with nothing – and I noticed a few reviews on Amazon complaining how hard it was to setup, being technically minded I didn’t find it that hard – but the instructions were invaluable. It has two slots protected by a rubberized cover. One is micro USB for charging the tracker and the other takes a standard sized SIM card. For the SIM card I used a standard 99p GiffGaff card picked up from the local supermarket. Most SIMs will work with the exception of ‘3’ as the SIM needs to be able to work over the 2G network. Make sure you activate the SIM online and make a note of your number. I also put £10 credit on it, this will last you ages. I have found I use on average 50p a month. Once you’ve pushed the sim into the slot of the tracker (it will click in when seated correctly) a light will come on to show it’s active. Now comes the fun bit! To successfully setup the tracker you need to send some commands to it via SMS – wait for a reply to each command before moving onto the next one. The text in red, green or bold are comments only. That’s it! Your tracker is now ready to use! Don’t worry you won’t have to do any of that lot again! How do I track my bike? There are a couple of options, either you can login to a web portal and see where your tracker is on a map – or there is also a half decent mobile app that I use as well. Once logged in CHANGE YOUR PASSWORD! via the link on the top right of the screen. I found that if you simply change the last two or three digits of the IMEI you could login to that tracker with the default password – that means that if that IMEI gets into the wrong hands they can see where your bike is at any time – I can’t reiterate this enough CHANGE YOUR PASSWORD! Now that I’ve taken my security hat off, a word about the user interface. Both the web front end and the app are surprising professionally made considering it’s a cheap tracker. I use both the app and the web front end regularly. The main dashboard of the app will show you the status of the tracker and how much battery there is left – it will also notify you when your battery dips below 20% which I find very useful indeed! On average I’ve found the battery in these lasts between 2-3 months depending on use, which is more than acceptable as far as I’m concerned. 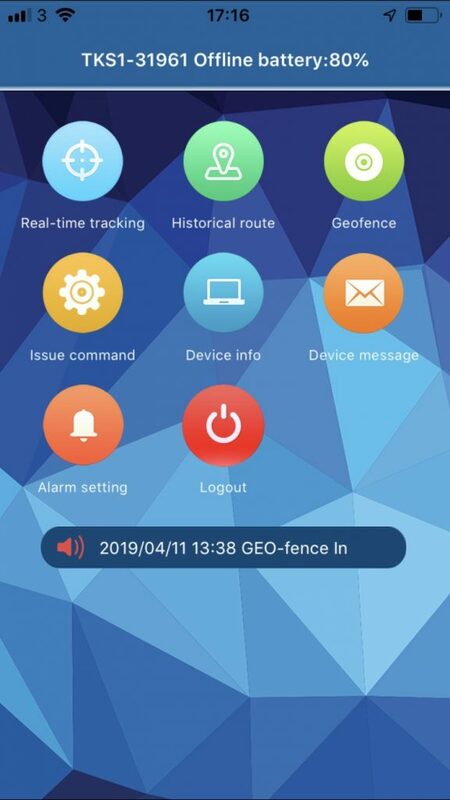 The other feature I’ve utilized is the geofencing utility – this allows you to specify a GPS co-ordinate (for example your house) and set a minimum 200m boundary around it. If the tracker moves out of that boundary, a loud alarm sounds on your phone – this is something to be aware of if you’re leaving home on your bike and have an in-helmet earpiece connected to your phone – as it will scare the living daylights out of you every single time! I’ve been using my tracker for a good 4-5 months now and am very pleased with, so much so I’ve bought another to track my Monkey Bike on our up and coming expedition – so we can share the tracking details with our loved ones in case they need to send in the Marines to rescue us or something! 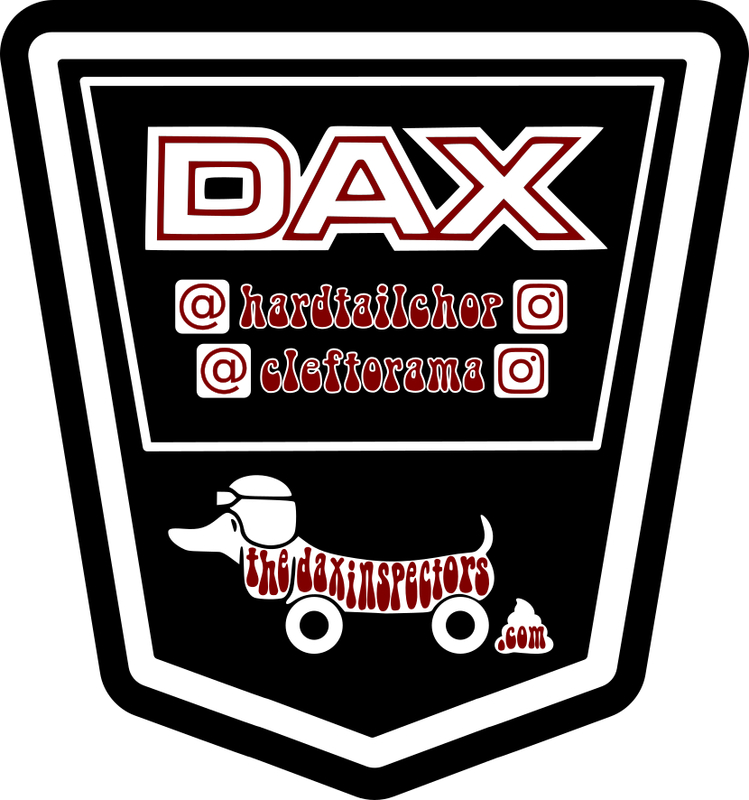 I would heartily recommend these for those looking for a cheap way to keep an eye on their bike. Obviously, no tracker is foolproof, but if your bike gets stolen and they don’t initially find the tracker you have a good chance of knowing where that bike is in the first couple of hours of it going missing. For me, that is reason enough to get one.